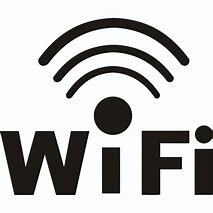 The school district has implemented a new WiFi solution to simplify access for users with non-district devices. The following networks will be replaced: BYOD Staff, BYOD Student, Guest. The new network now available for connecting your non-district devices is: CMSD-BYOD. Open your WiFi Settings on your device. This will bring up the Captive Portal log-in page. Note if the Captive Portal does not open automatically, open your device’s browser and it will redirect to the log-in page. Select the CMSD UserID/Password option. This will bring up the Acceptable Use Policy. Read the policy and select the I accept the terms button. This will bring up the log-in page as displayed to the right. Enter your network username and password and select the Continue button. You will now be connected to the network. Should you have questions or you require further assistance, please contact the IT Help Desk at 250-638-4413.